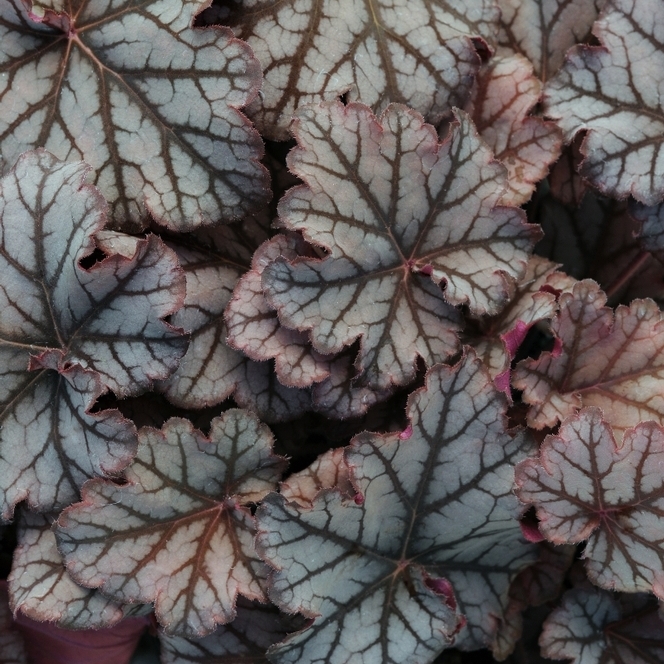 Heuchera 'Neptune' is special due to its pewter-purple leaves with very dark veining, giving it a stained glass effect. 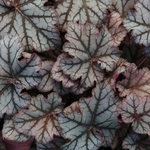 Each mature leaf is deeply etched giving it a further unique and intriguing appearance. A member of the "Planet Collection" from the Netherlands.